The Products: Luxurious and effective green beauty products for your skin and body. The products are crafted by artisans from all over the world. All products are full-sized or large travel-sized products and are cruelty free. African Botanics Fleurs D’Afrique Intense Recovery Oil – Retail Value $250! Wow! A $250 serum! And the packaging definitely lives up to the price tag. I love the chic, all-black design. This serum is an oil base with added night-blooming floral extracts. Which means it has a lovely Jasmine scent! It’s designed to help stimulate skin cell renewal, and fight signs of aging: fine lines and wrinkles, blemishes, dark spots, hormonal imbalances, inflammation, redness, dryness, and sagging skin. The formula is rich, hydrating, and felt amazing on my skin. Again, I love the floral scent, and the formula absorbs pretty quickly, too, considering it’s a rich oil. You can use this for both day and night, but I think I’m going to use it only at night so it lasts longer! Verdict: The August Boxwalla Green Beauty subscription box has a value of about $250. I think that’s great for a $50 natural beauty box that focuses on sending you some of the best products from high-end natural beauty brands. 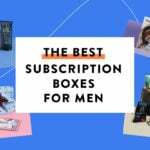 And since this is on the pricier side for beauty subscriptions, I appreciate that it’s an every-other-month subscription – it makes it even more special! Can you still get this box if you sign up today? Yes! You have until 8/1 to sign up and get this box! This will be my first foray into Boxwalla. When do they ship during the month? And how do they ship? I have not received a tracking email nor can I find anything in my Boxwalla account. Thanks! They usually ship the first week of the month. It was DHL for a while, but last box was FedEx. They email tracking numbers. I have a hard time finding info on the website but customer service is great! I usually just email them for anything. And remember, this is the AUGUST box. It won’t ship until next month. Liz just got this early. I couldn’t resist. I have enough products to last a decade but I LOVE this brand. I got the body oil (deluxe size) in a GWP and it’s amazing but I haven’t bought the full size yet (approx. $95.). It would be awesome if BoxWalla included it in a future box. Thanks Luna. I didn’t resist even though I am using the 10 degrees cooler face oil #3 and have a bottle of marula oil unopened. The ingredient list on this is phenom and my combo skin loves the oils now! “The products are crafted by artisans from all over the US” and yet this oil is made in South Africa. The ingredients list didn’t strike me as something I’d pay this insane amount of money for. I find droppers (especially with buttons) not only unhygienic, as you expose the product to air, light and bacteria, but also impossible to operate if your hands are oily. I thought the same thing. Most of the price is likely brand mark-up. There is always the chance of brand markup (which I’ve always felt is different than the general markup that all beauty products have), however at times the markup can also be due to the higher quality of the ingredients & how the ingredients are sourced. Some brands pride themselves on being socially responsible by sourcing their ingredients from companies that pay their employees liveable wages and have in place strict regulations on how the ingredients are sourced. So…this serum is 331.95 in Canada…I have no doubt that I’ll love it so I doubled up with Boxwalla this month. Even with the shipping and conversion from US, it’s a steal. Goodbye PSMH. Hello Boxwalla. This brand is amazing. I wish I could keep every sub but I make choices. I just set up a second account. What a luxury! Thank you for the early review. I have a feeling this will sell out. Me too! This is the only beauty sub I kept and they never disappoint. I actually have two because I love all the products. Can’t wait to try this one! The only beauty sub I’ve kept, as well – love it! Often I end up buying a second box for the one-time (slightly higher) price … I might need a second sub, at least for August. Do I have to set up a second account with a different email addres to do that? I cannot wait for August to get here. I’m so looking forward to trying this oil. I need a little luxury in my life.